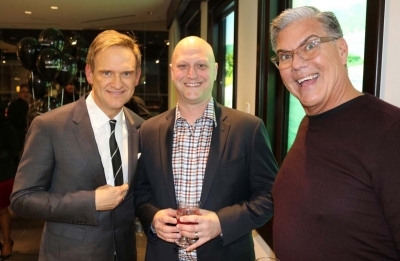 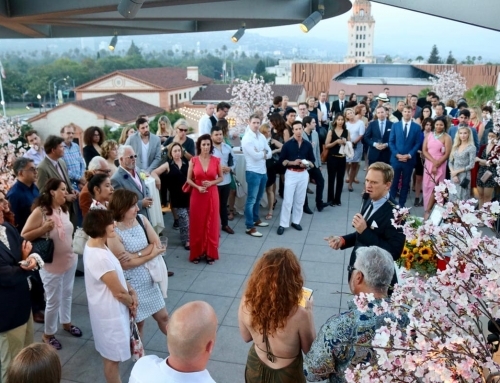 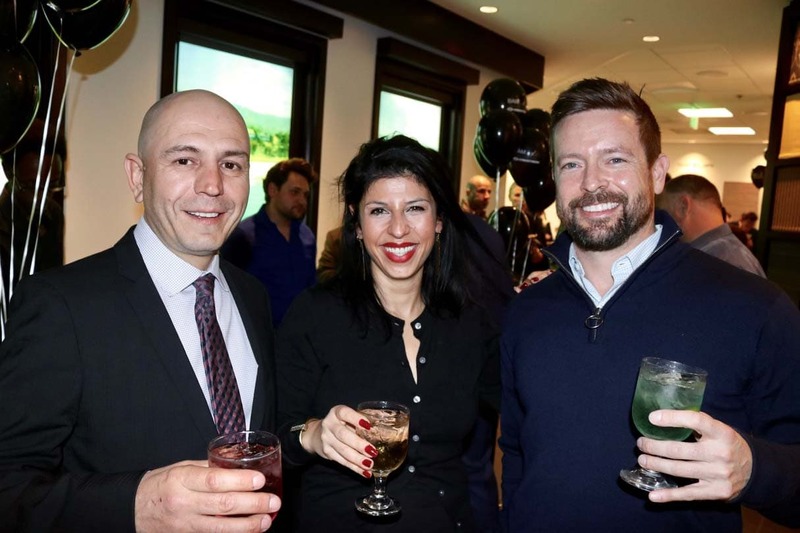 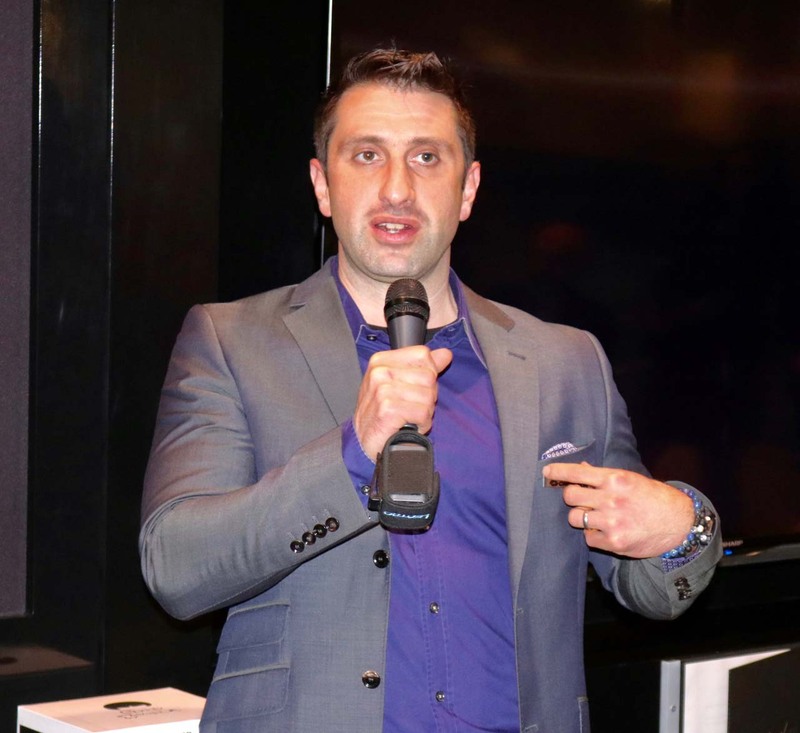 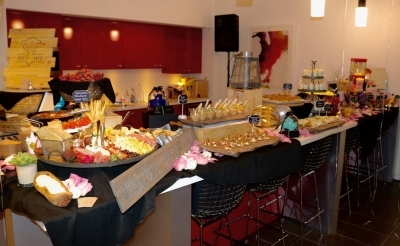 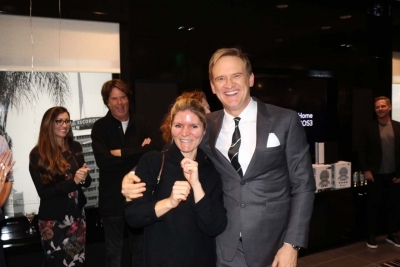 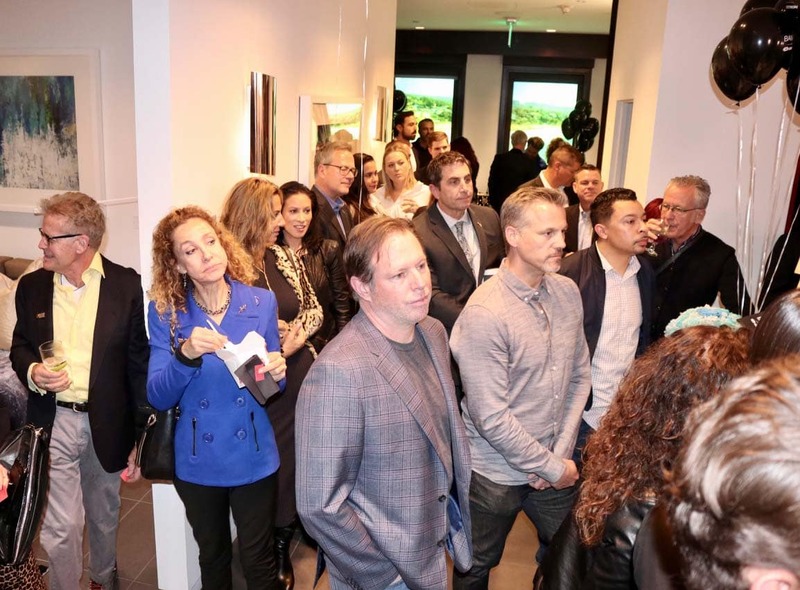 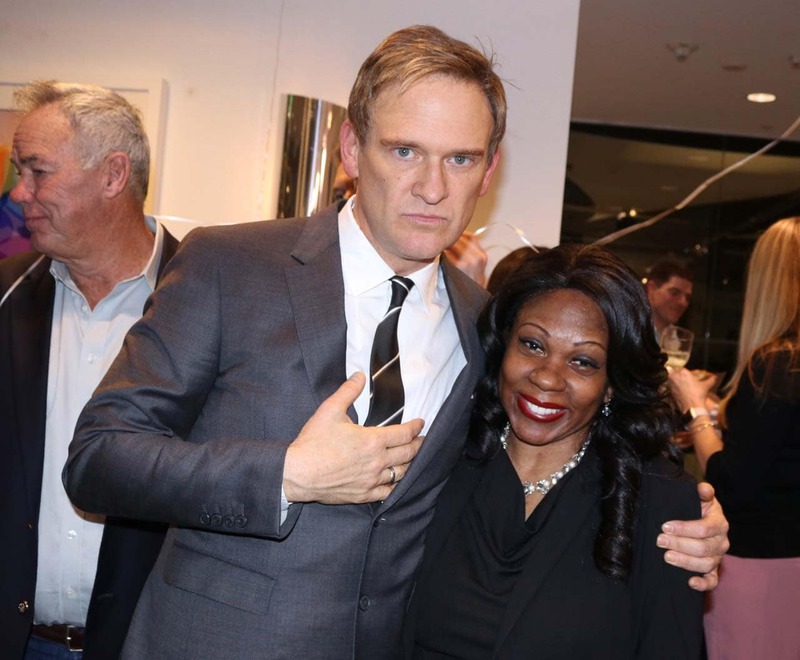 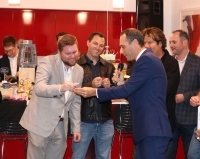 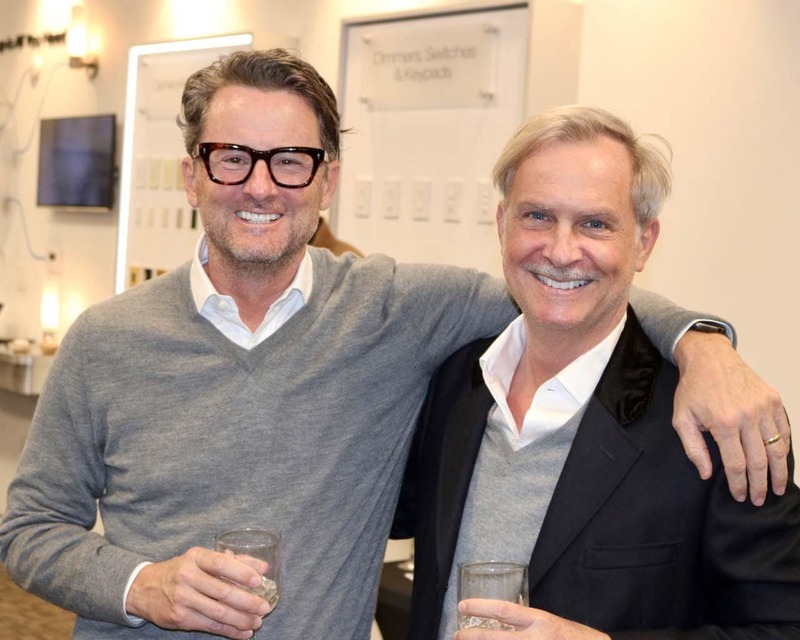 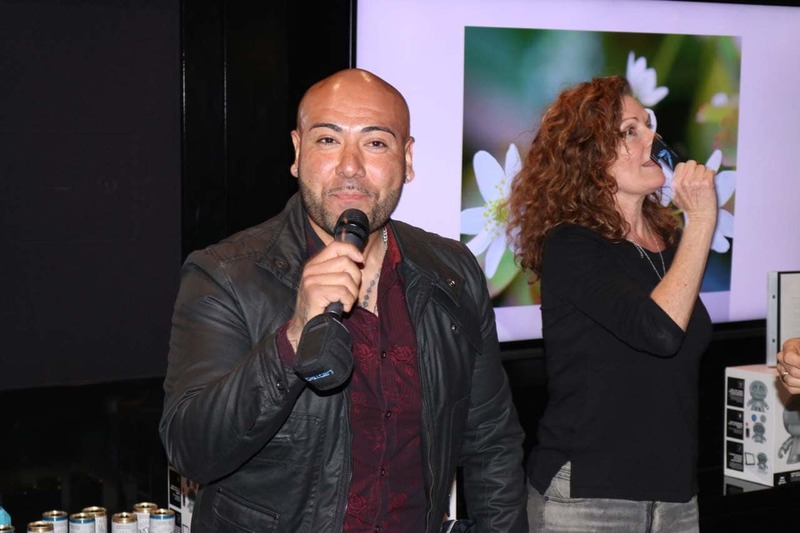 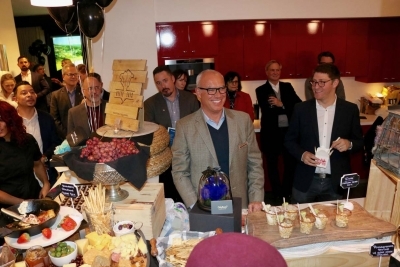 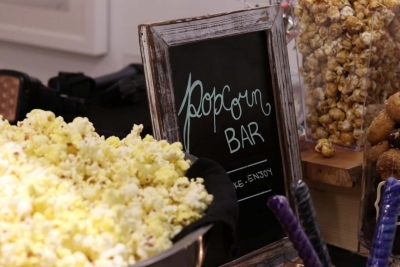 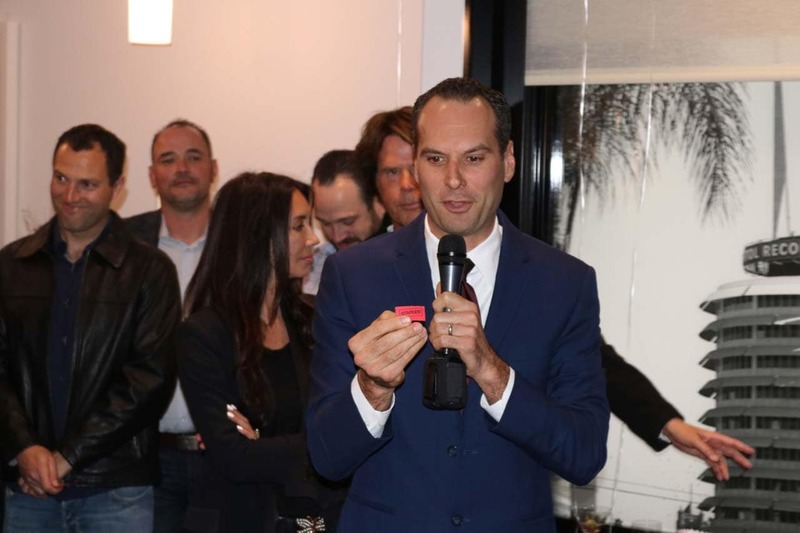 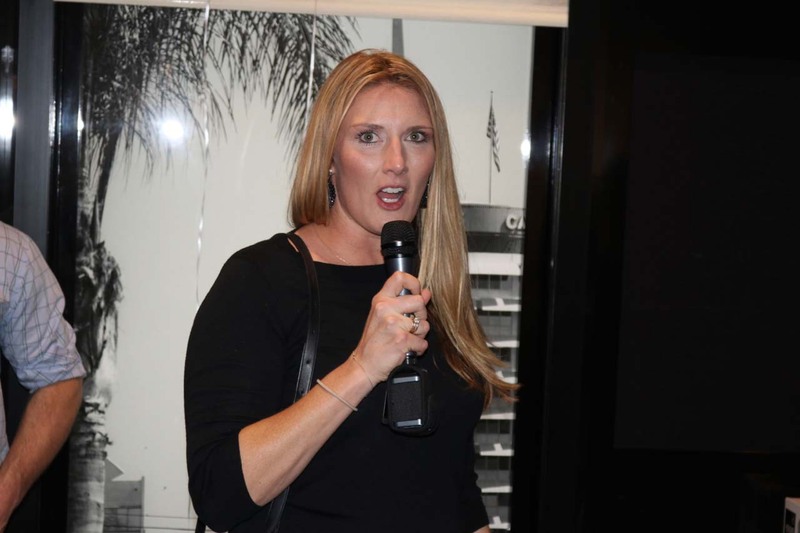 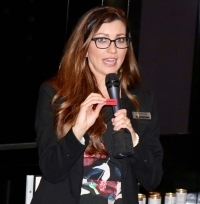 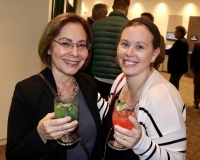 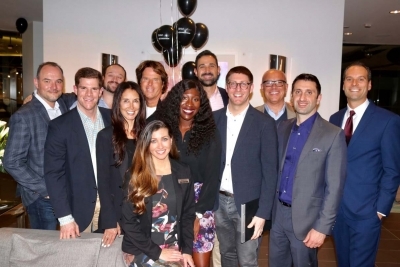 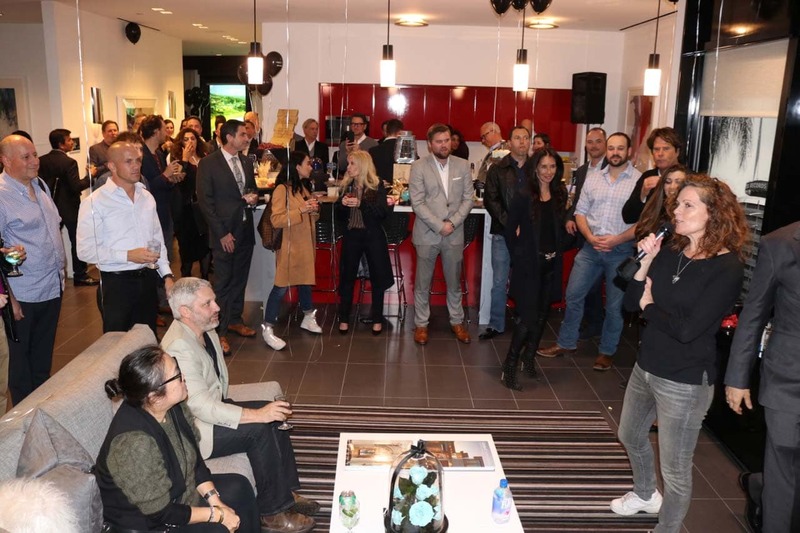 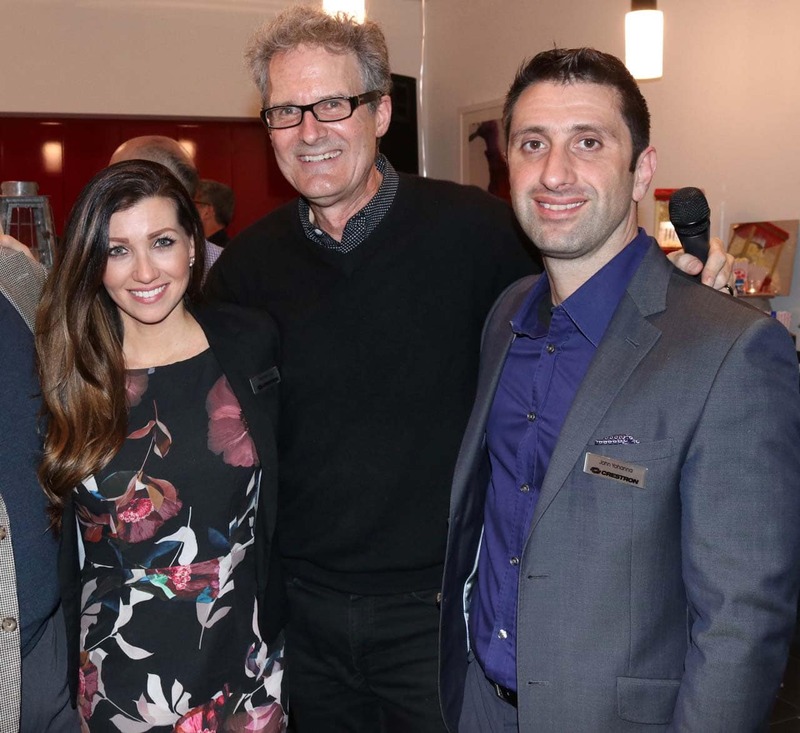 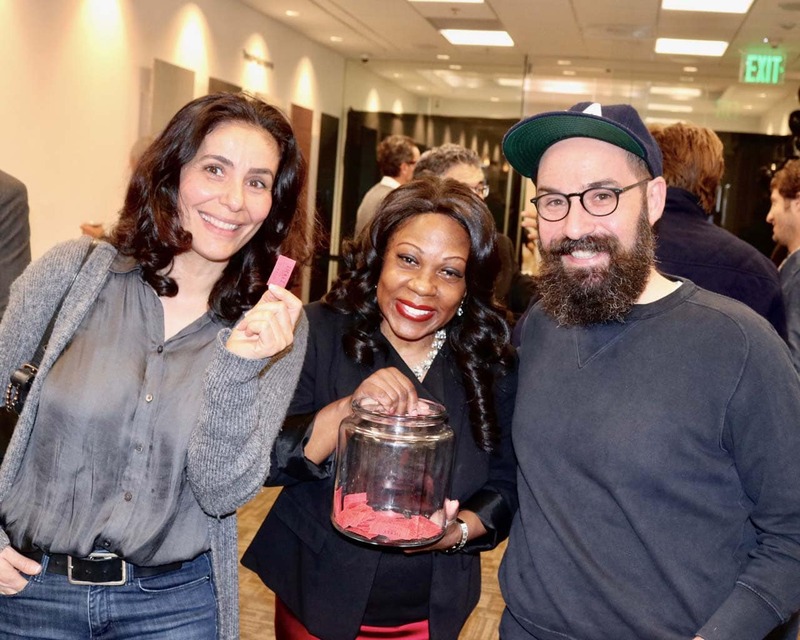 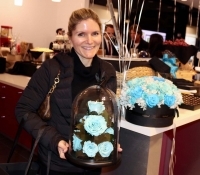 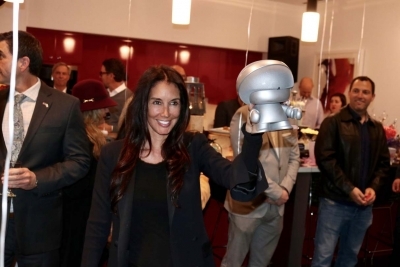 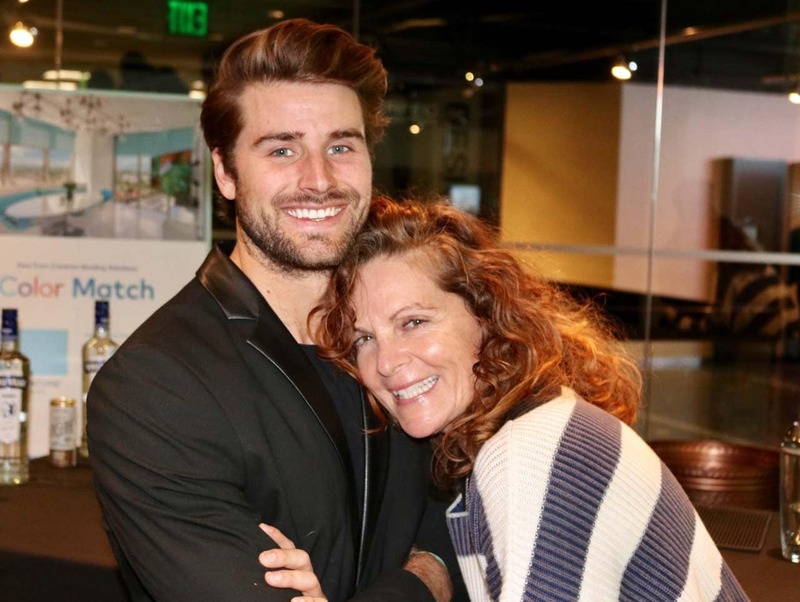 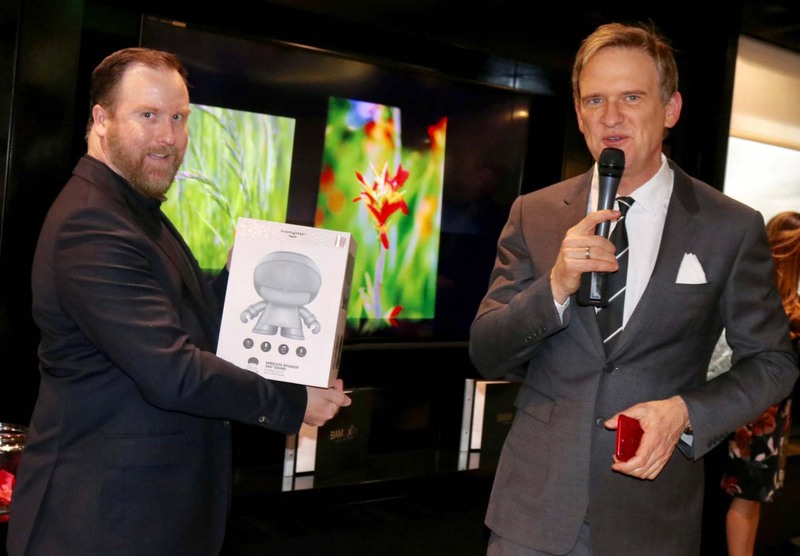 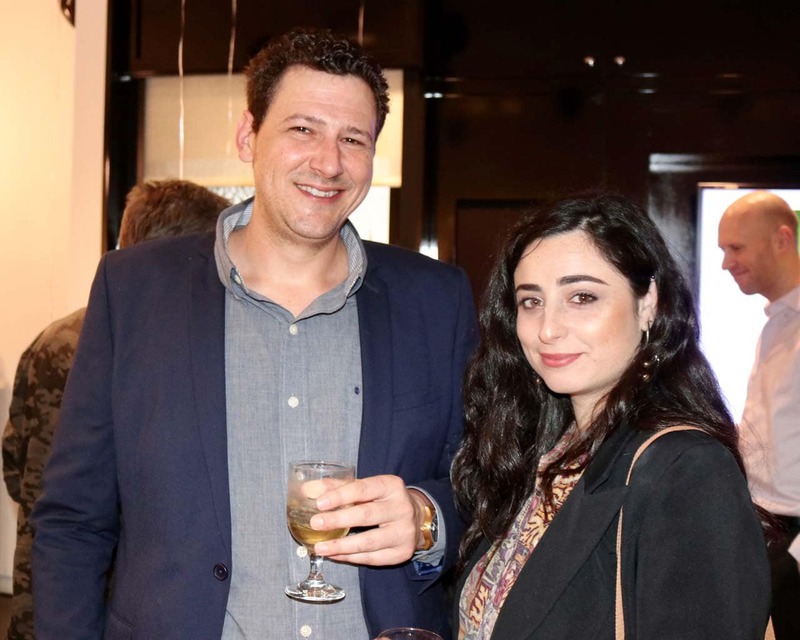 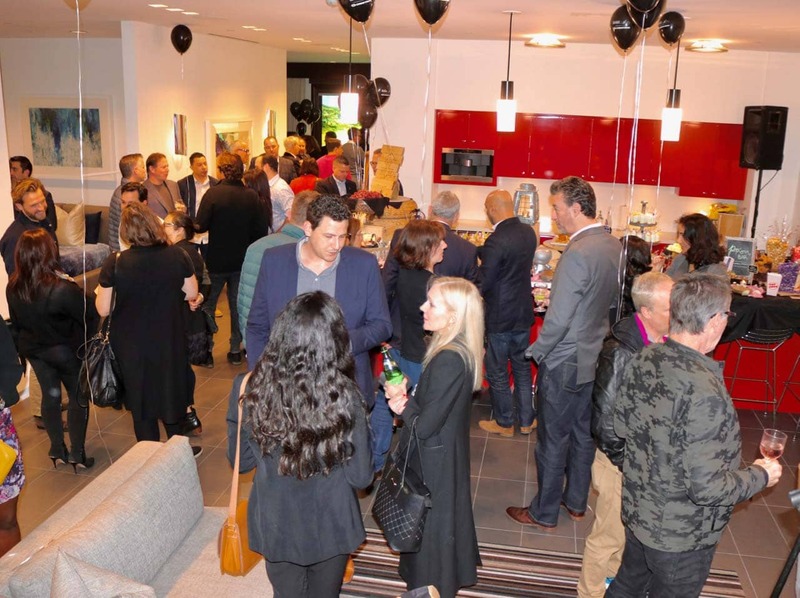 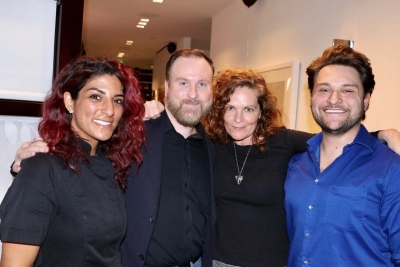 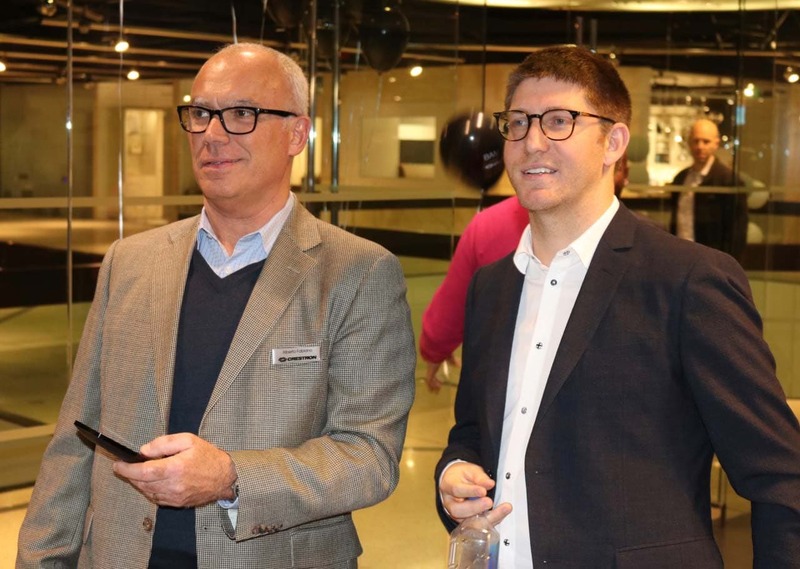 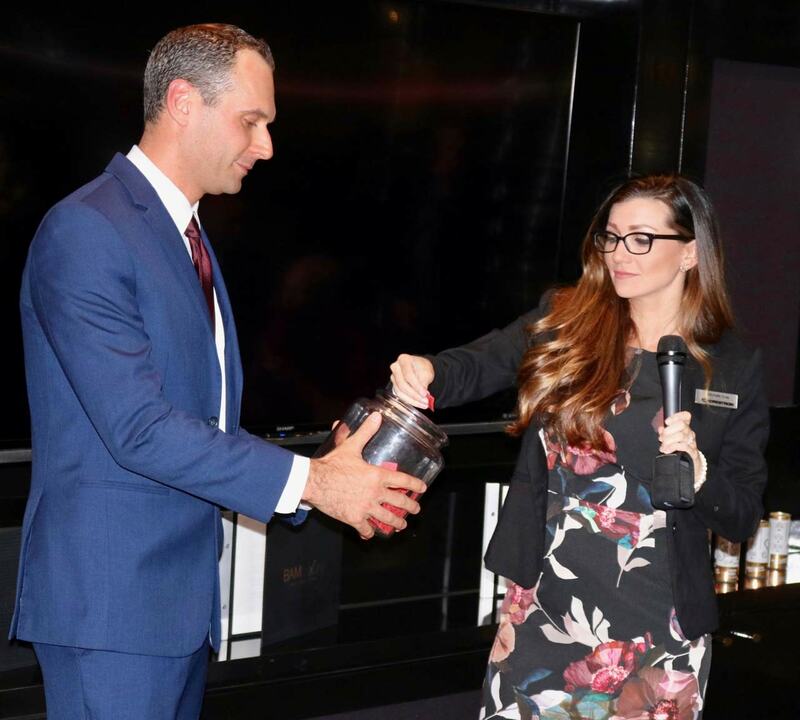 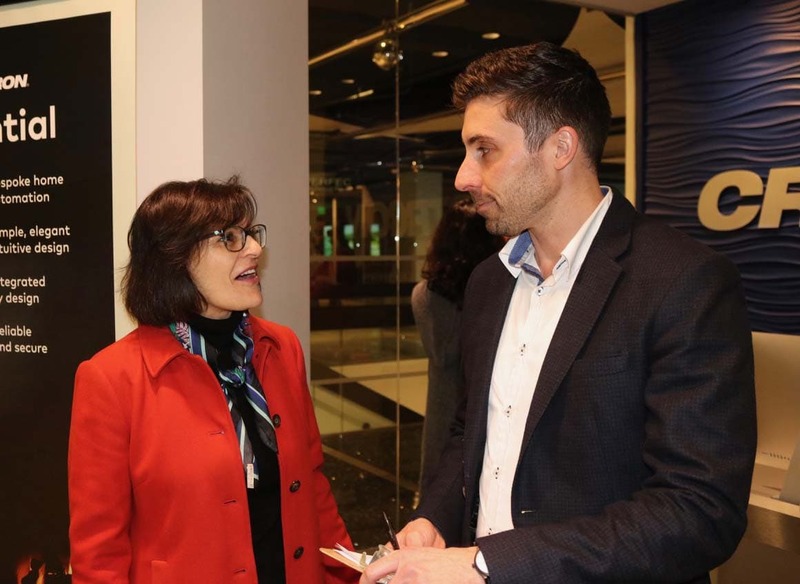 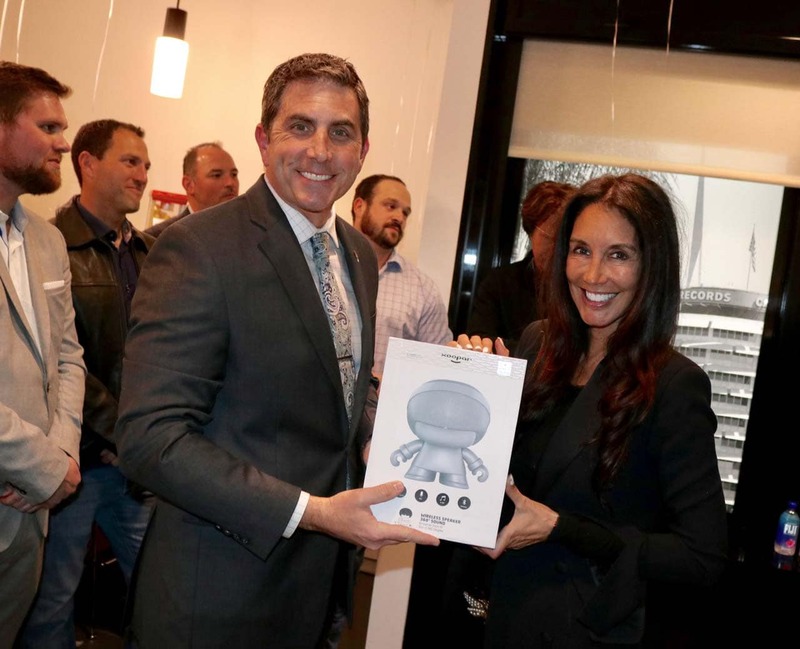 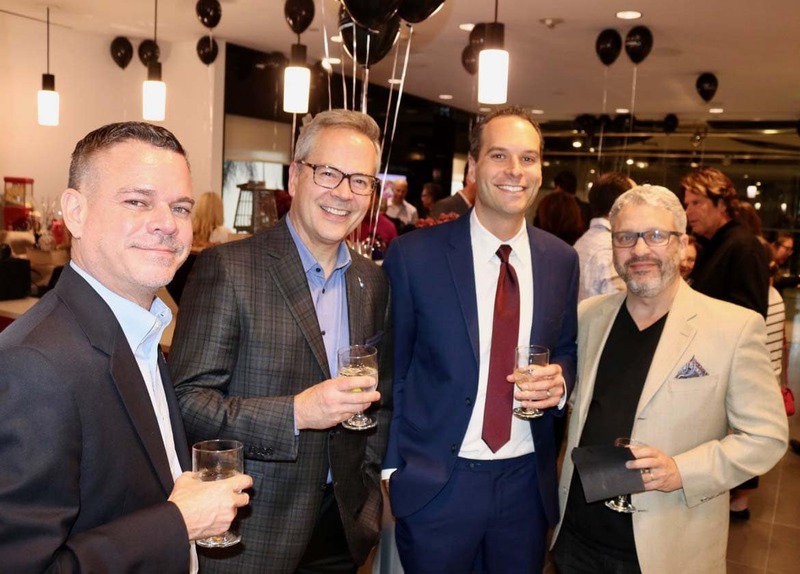 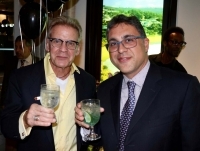 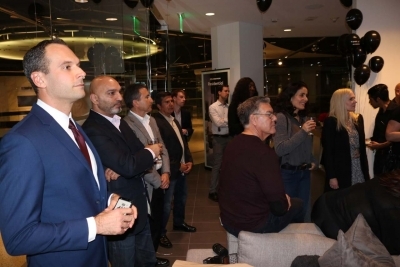 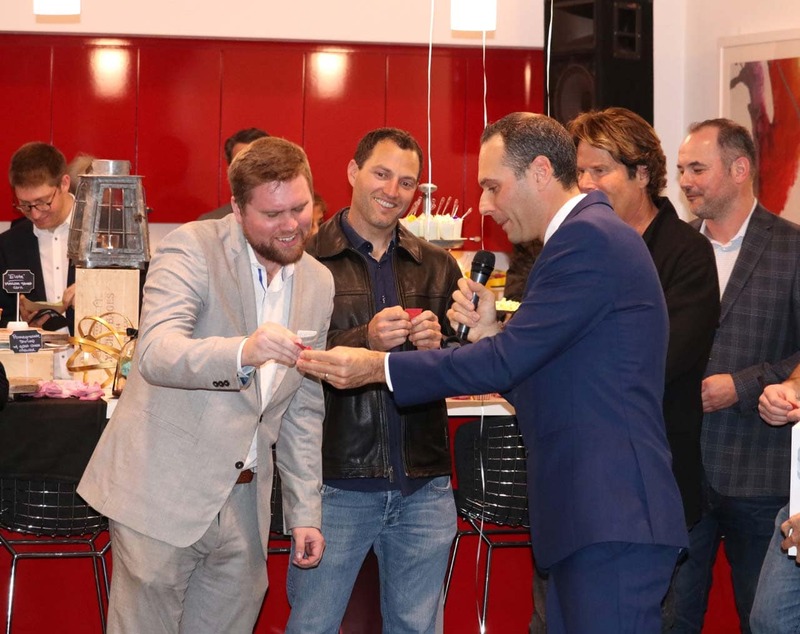 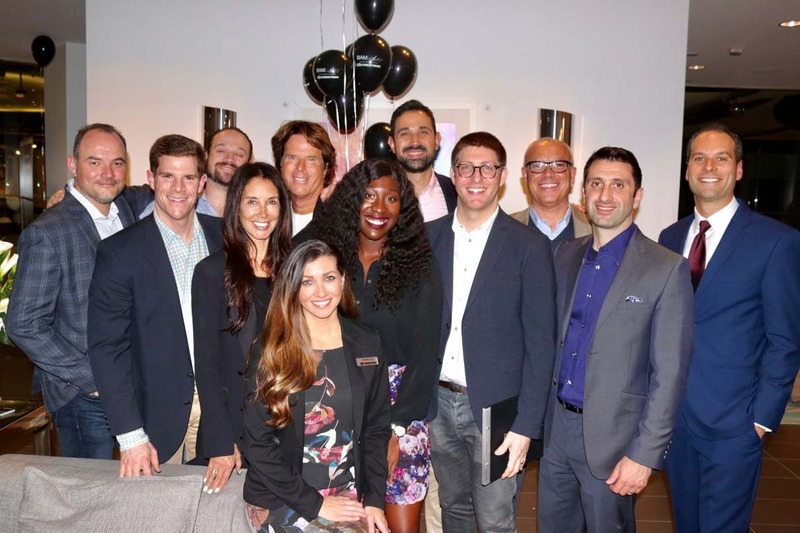 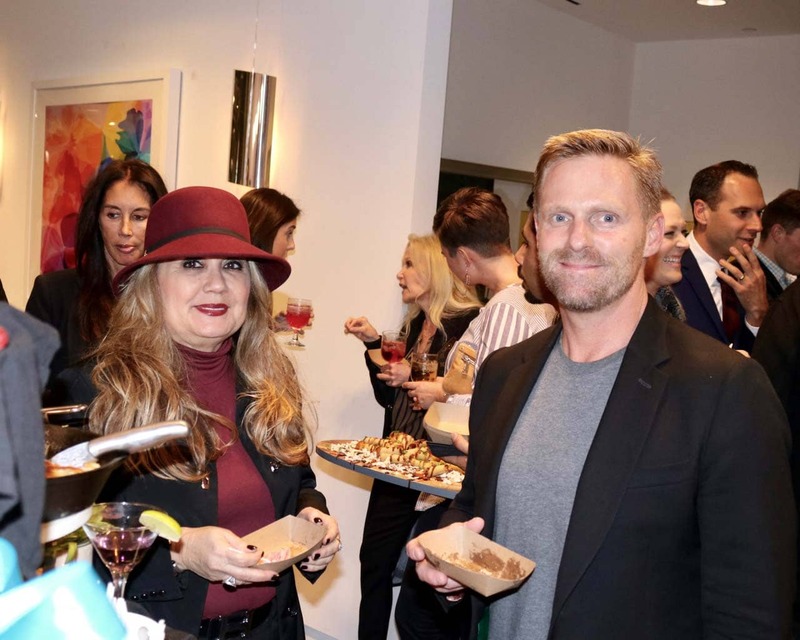 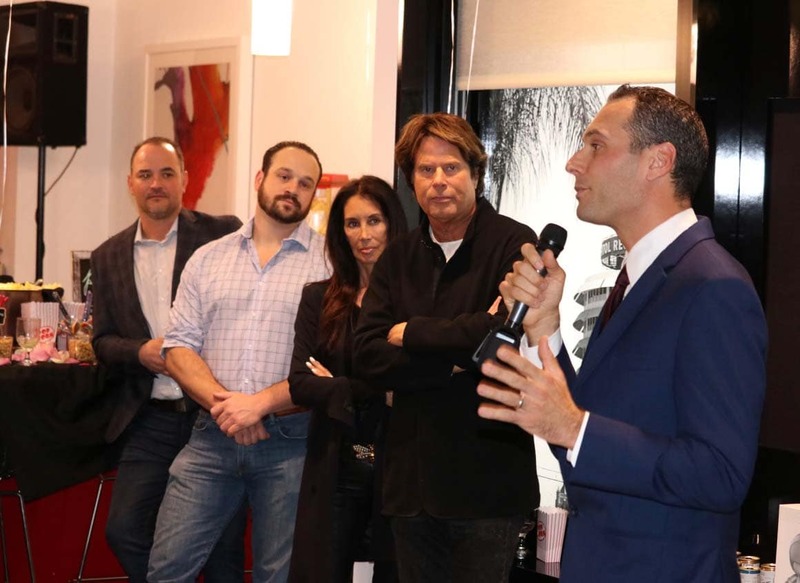 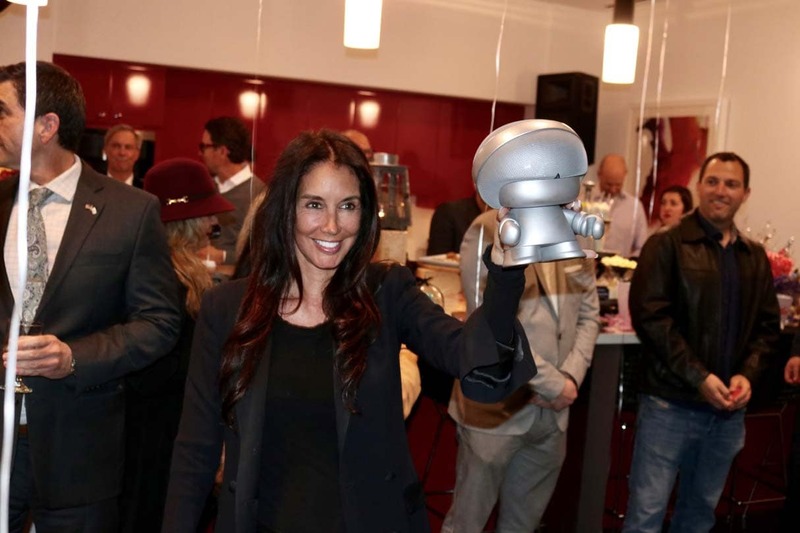 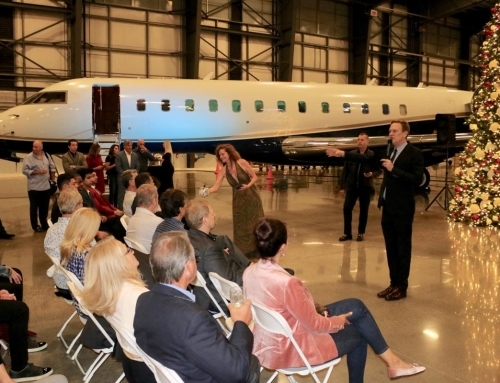 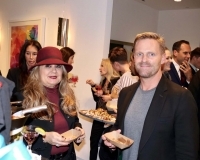 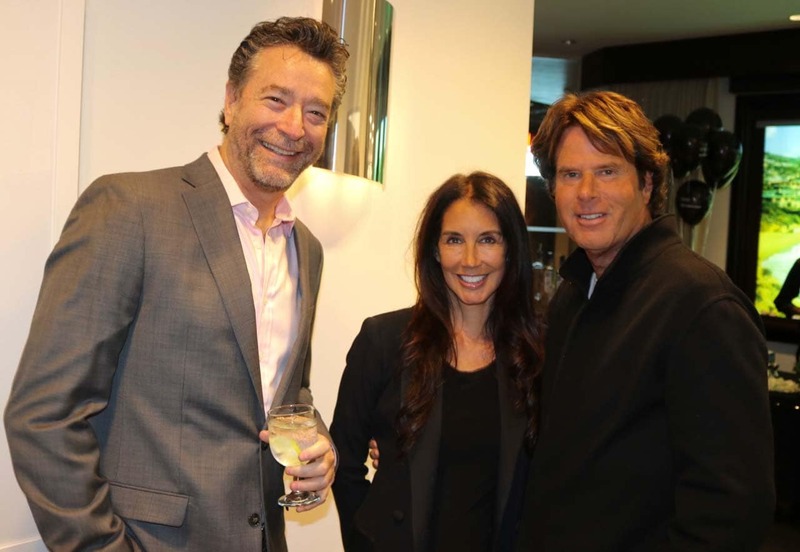 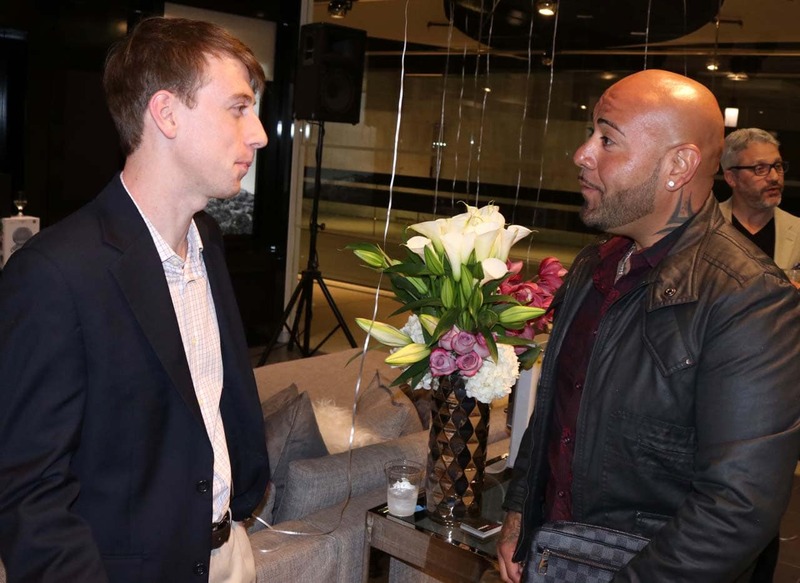 EMC went high-tech in February with their monthly event at the legendary home automation purveyor Crestron’s showroom at the Pacific Design Center. 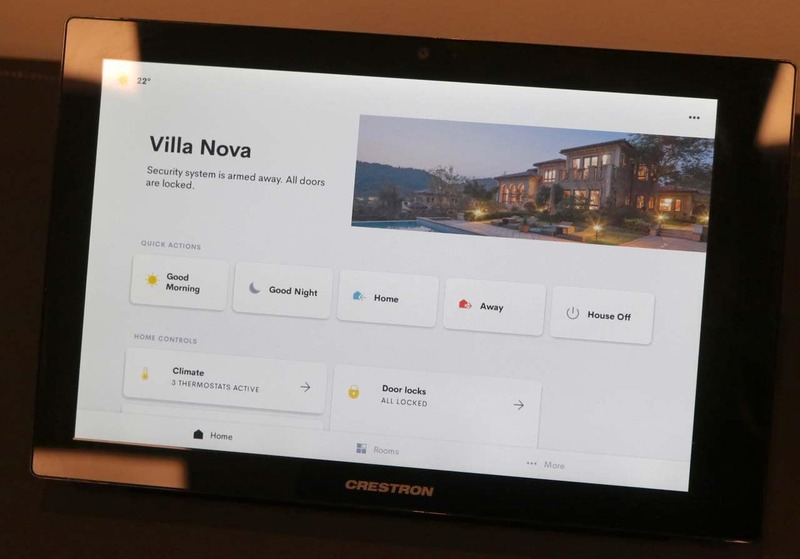 With room after room of impressive technology, Crestron showcased just what’s possible in fully integrated smart home technology in 2019. 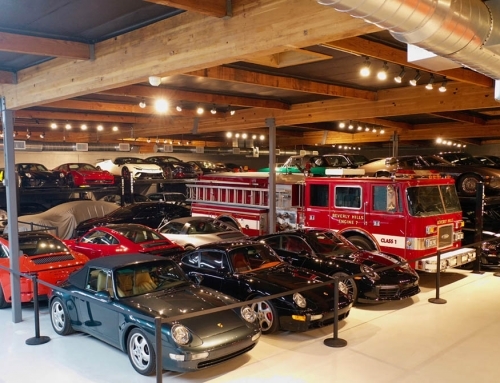 Bottom line: wow! 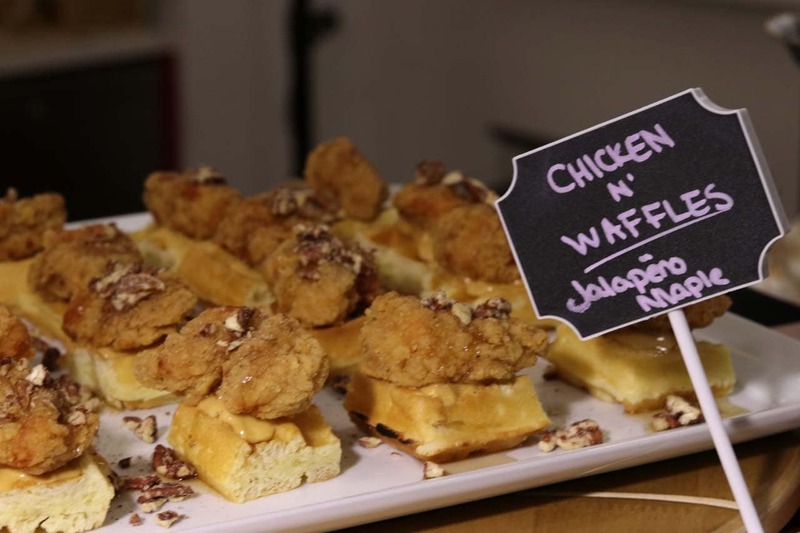 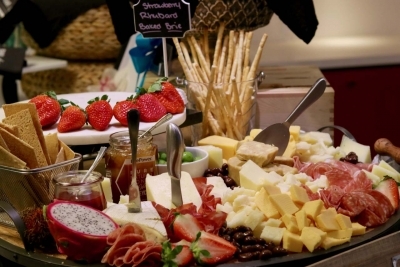 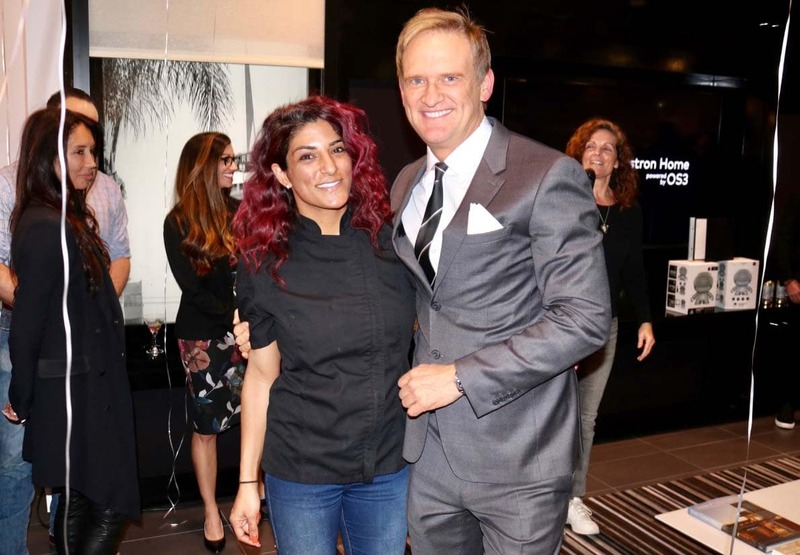 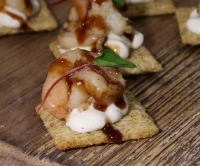 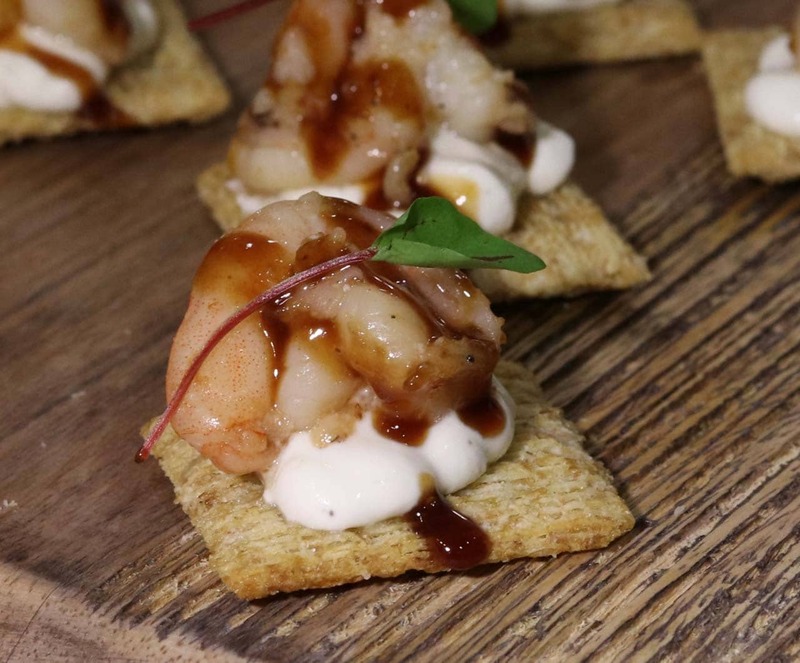 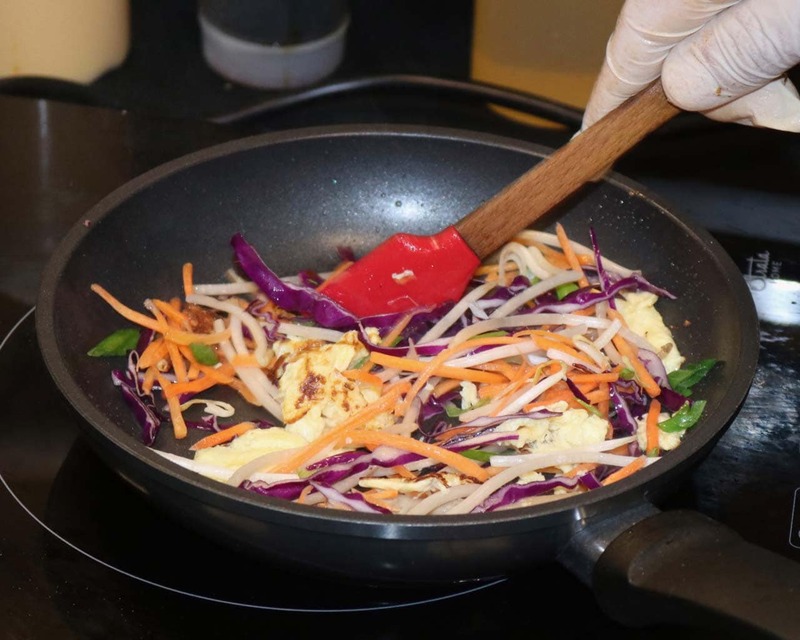 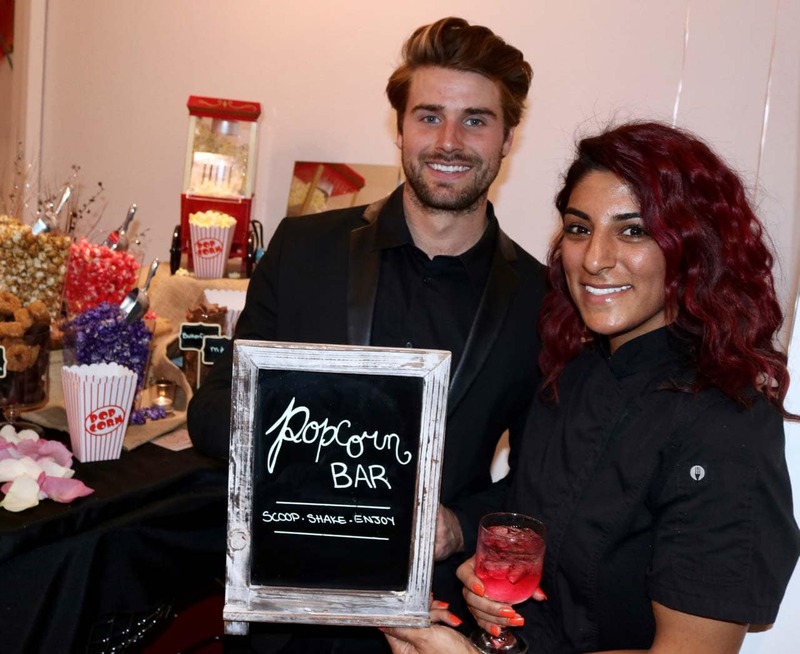 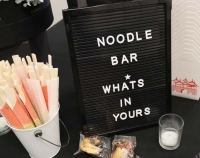 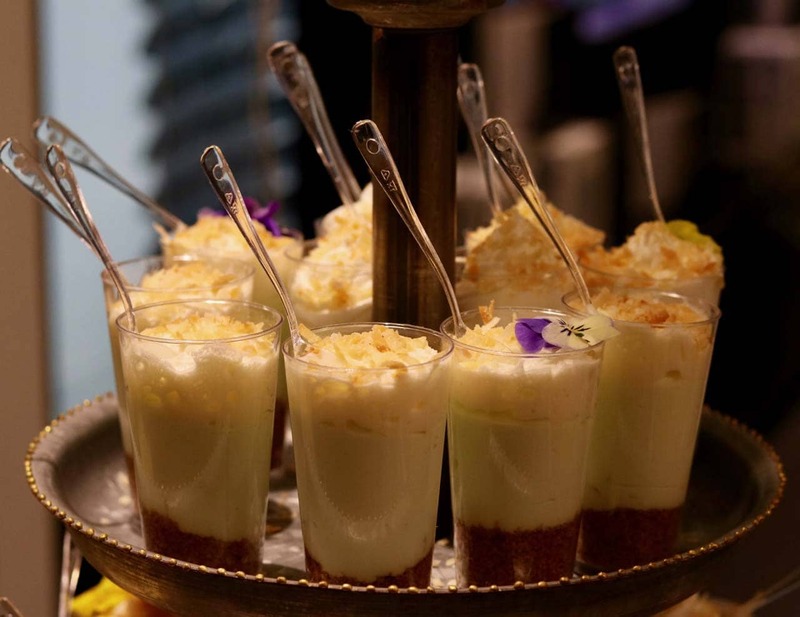 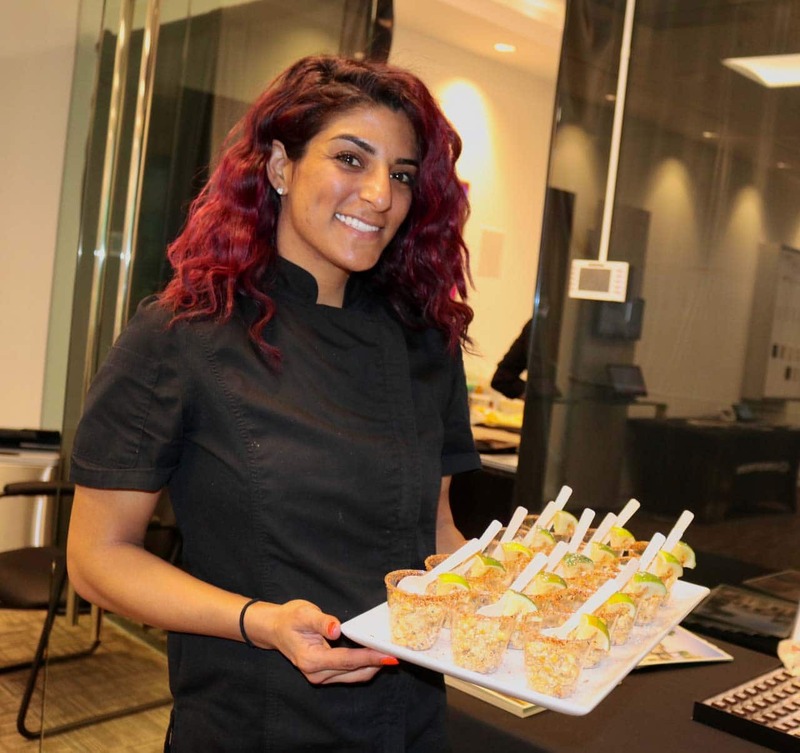 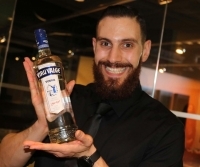 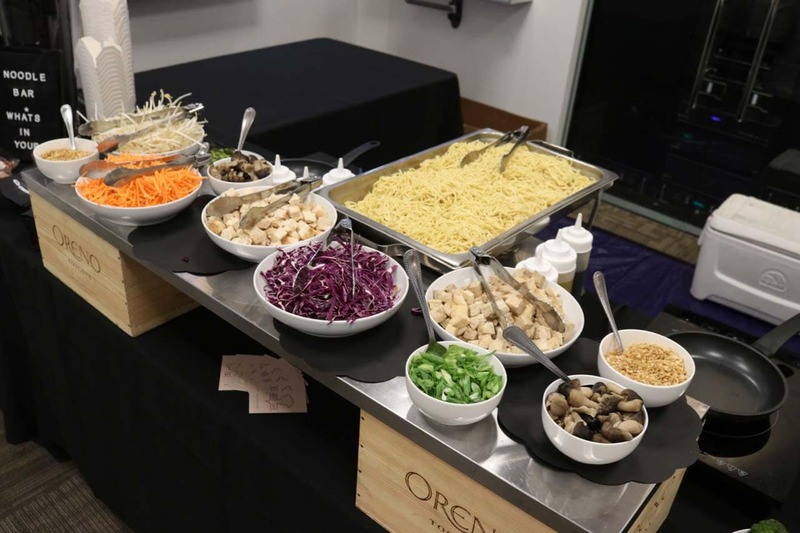 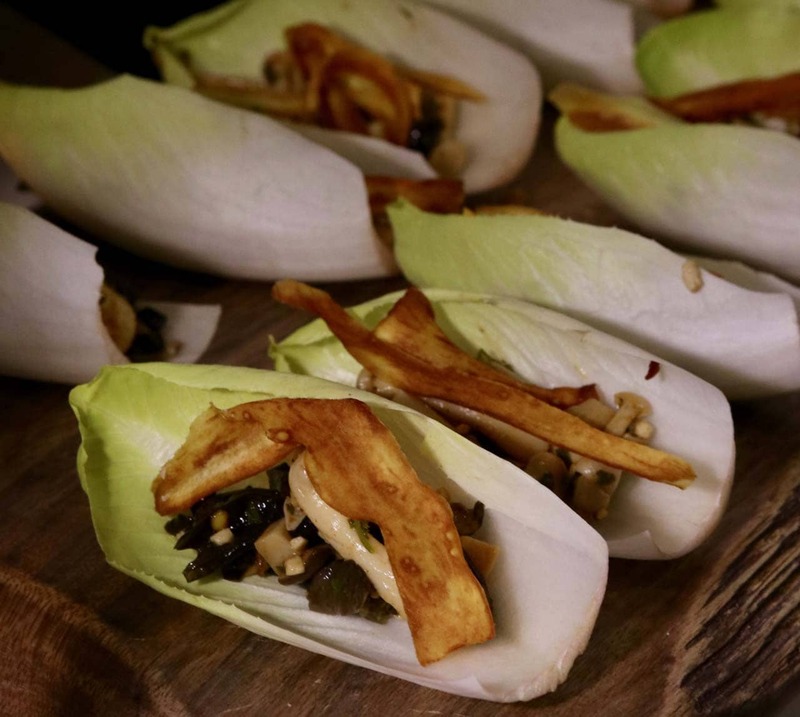 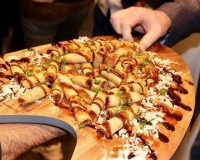 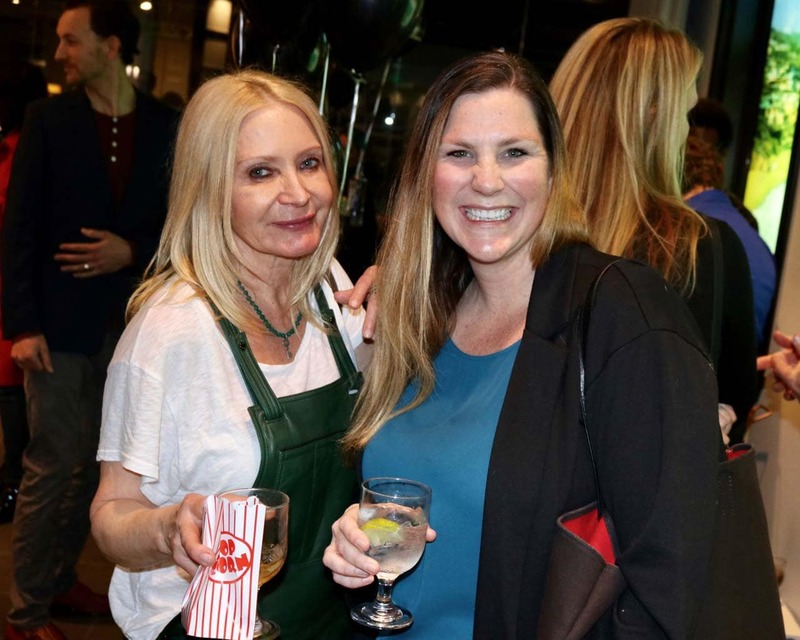 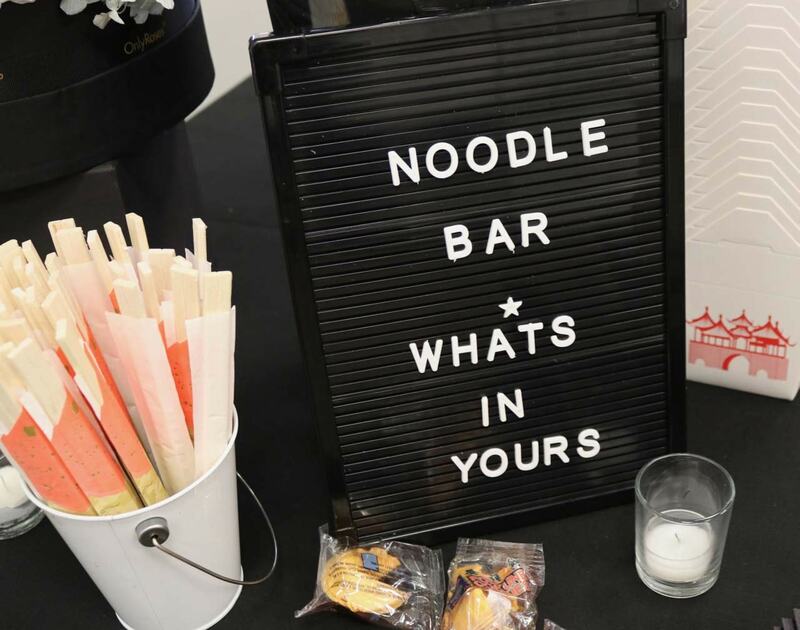 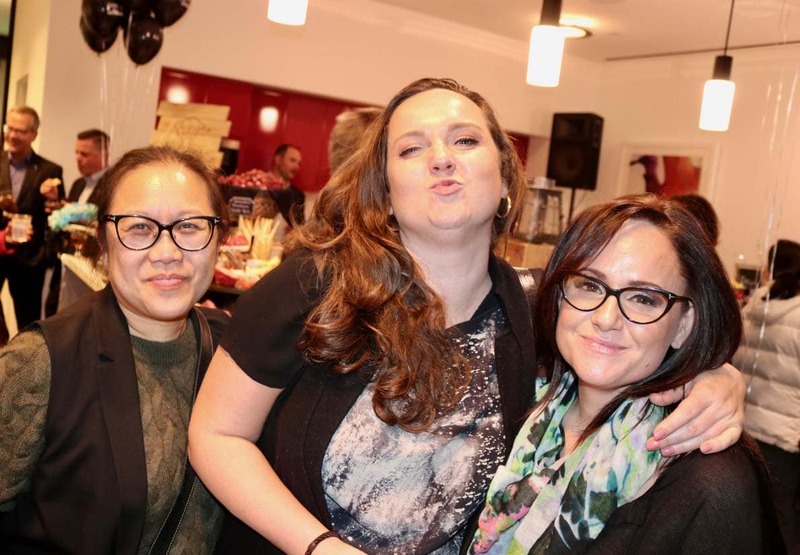 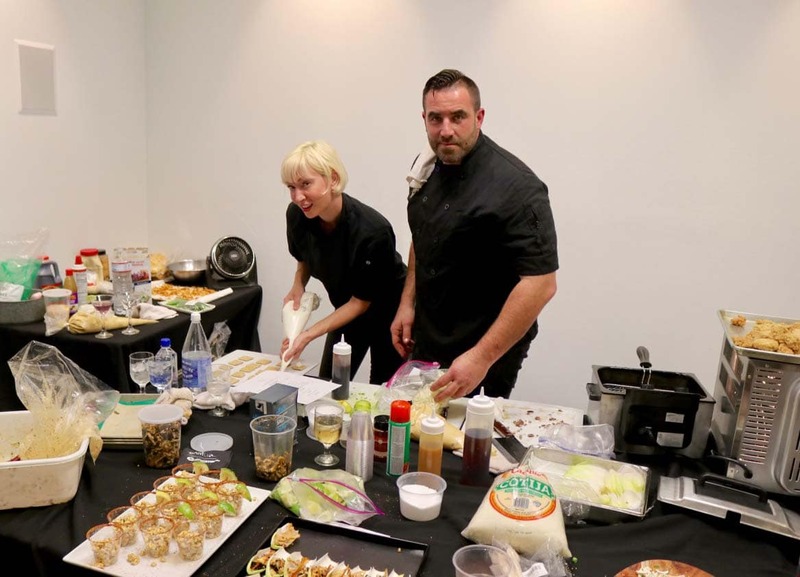 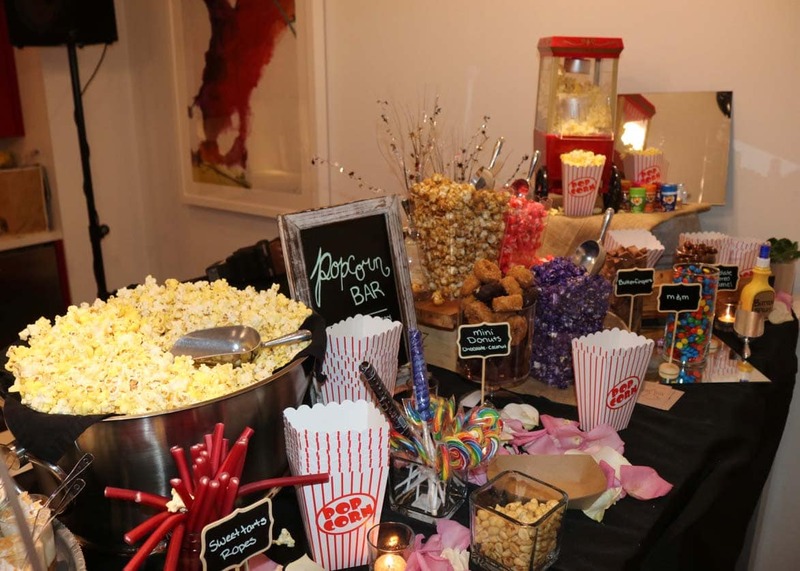 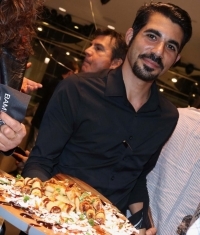 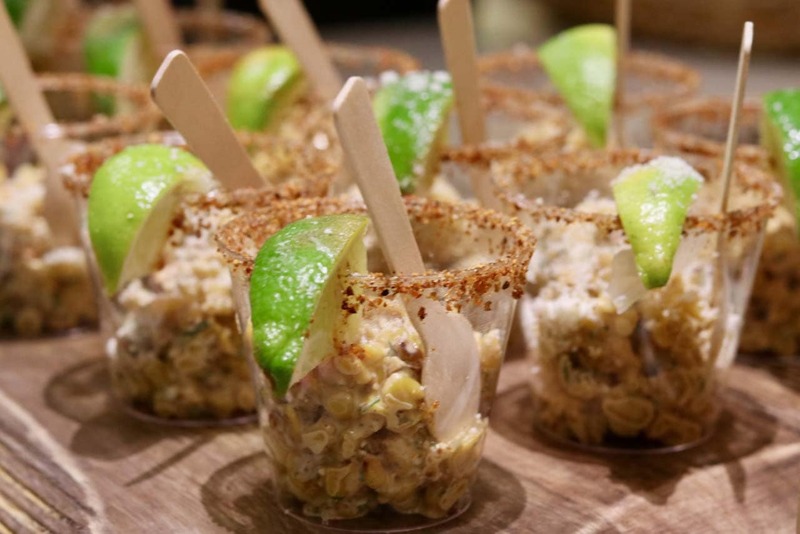 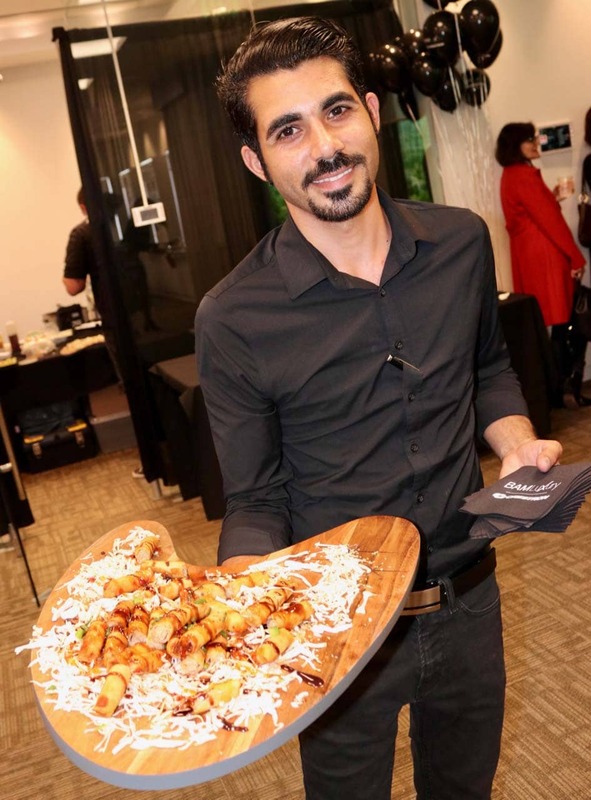 No less cutting edge was Beeta Mohajeri’s inventive menu ranging from a very cool (and tasty) popcorn bar, to mini chicken & waffles, to an on-demand noodle station whipping up a flavorful carton of Asian goodness. 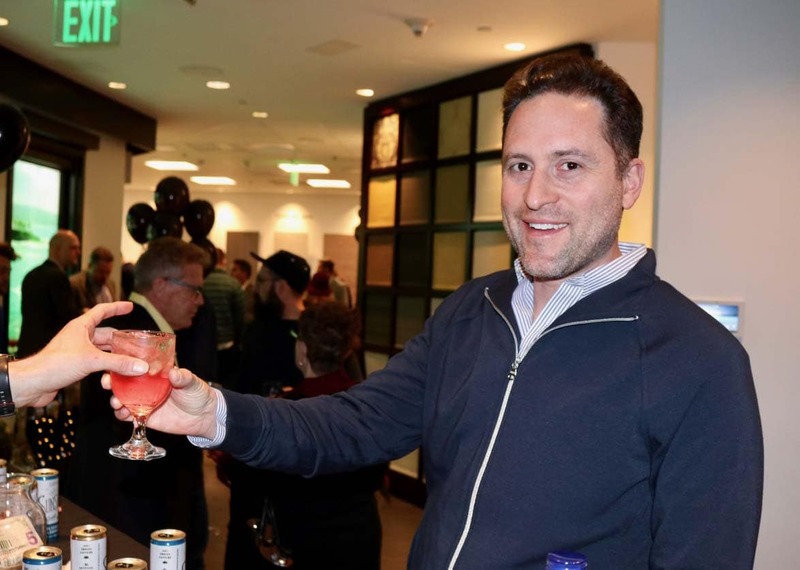 Equally in demand were a boozy array of tech-themed cocktails from our good friends at Black Horn. 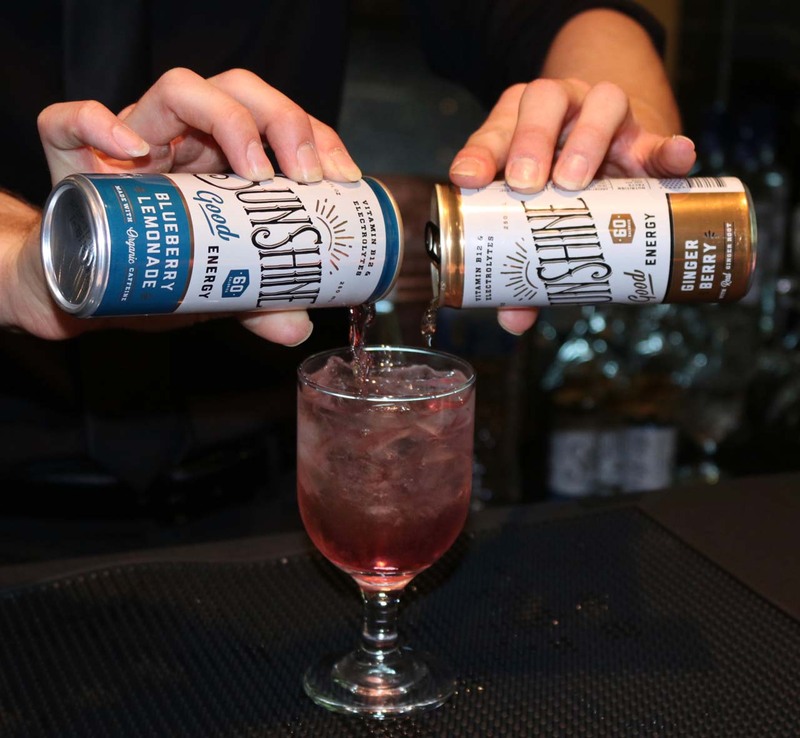 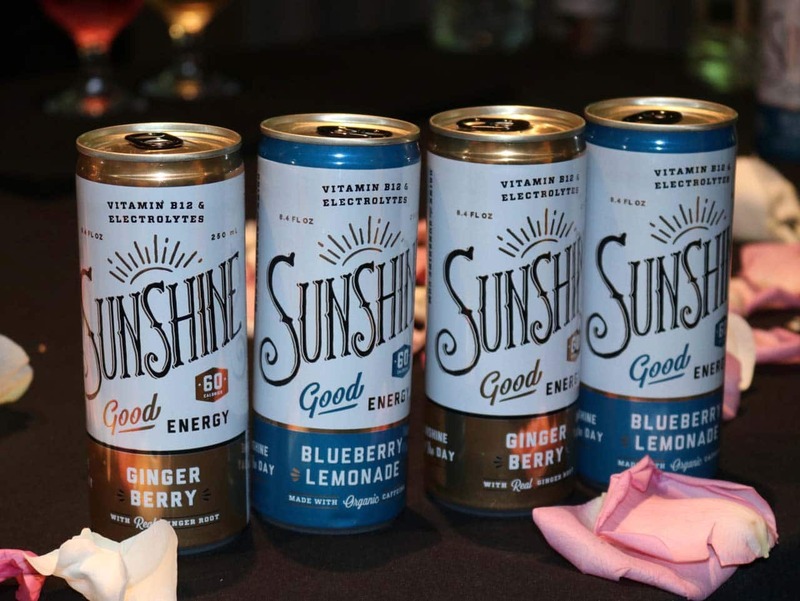 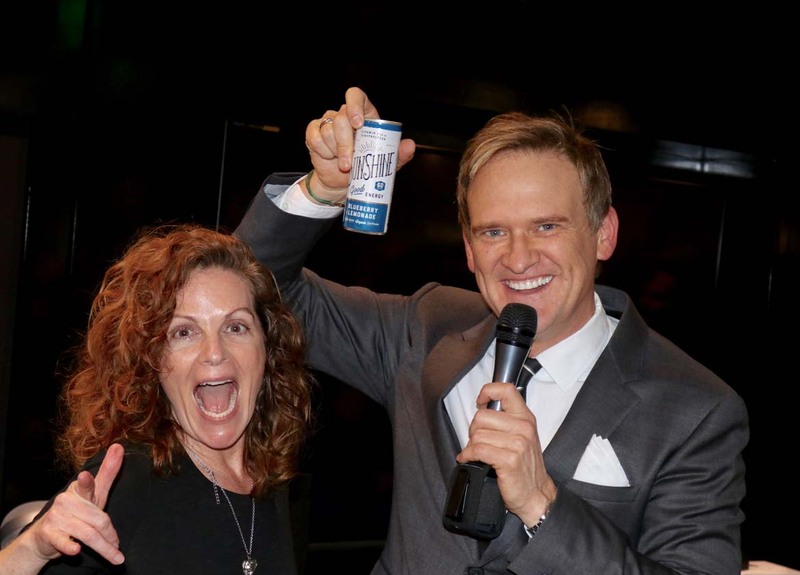 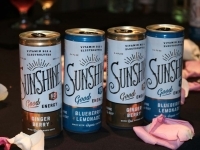 Providing a bonus kick to Black Horn’s cocktails was our new friends Sunshine Beverages with their all-natural energy drinks. 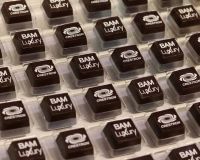 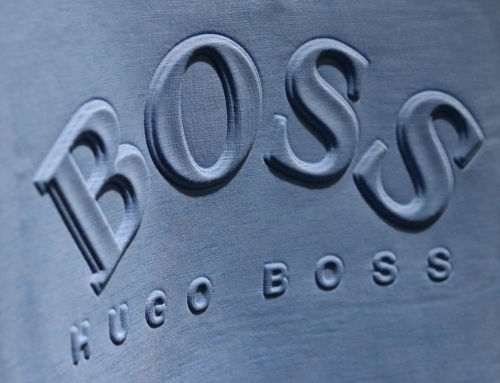 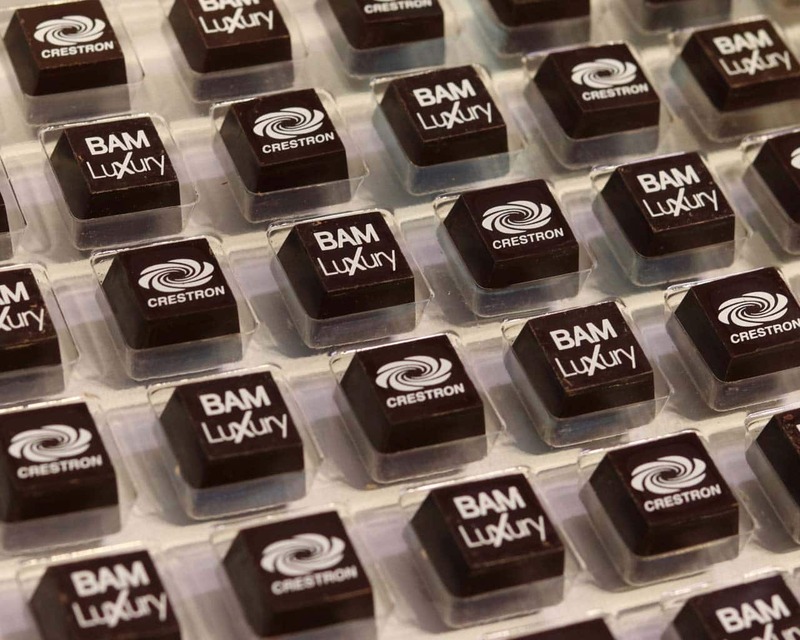 With a presentation by longtime EMC corporate member BAM Luxury, that gave us an overview of their AV integration services and presented us some truly lust-worthy tech. 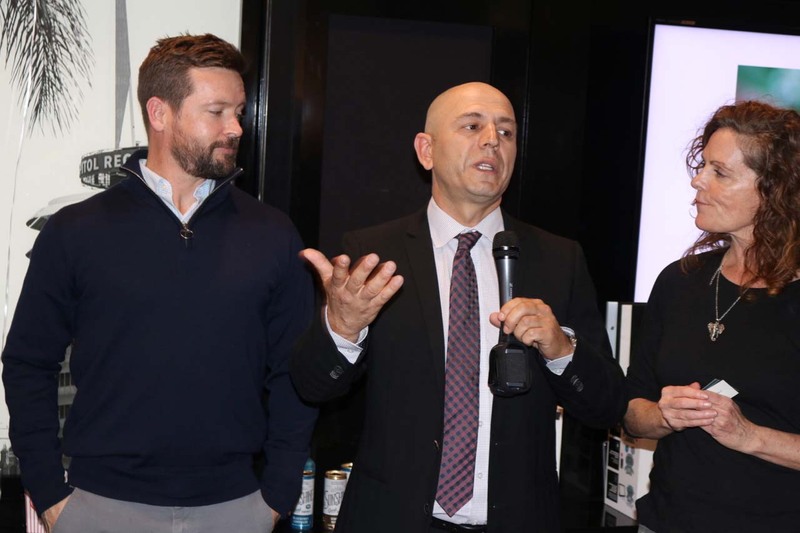 They also introduced us to EMCs newest friends, the guys behind JoshAI, which you can think of as Alexa’s smarter and more secure cousin. Not to be left out, Crestron treated EMC’s members to the North American debut of their forthcoming Version 3 update to their venerable Crestron Home platform. 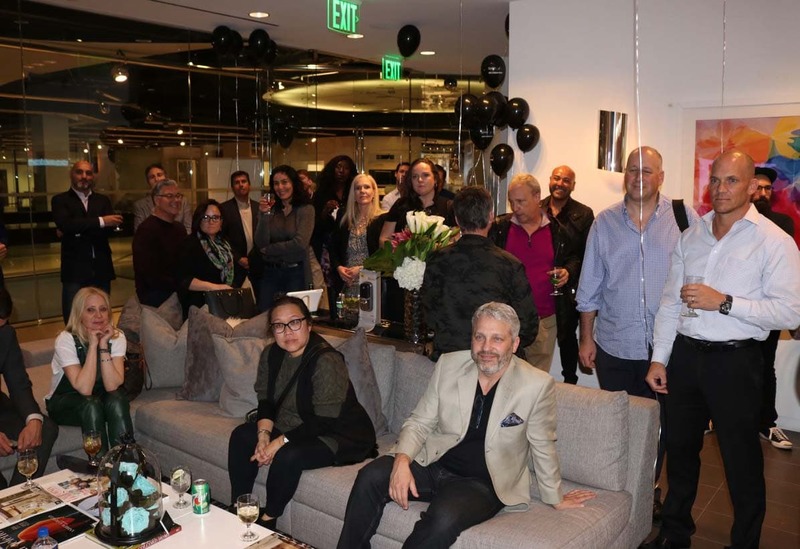 Rounding out the mix was the introduction of the newest EMC corporate members: Prestige Auto Detailing– Los Angeles’ finest mobile detailer, and fantastic service provider for all our estate managers who need on-site car washes. 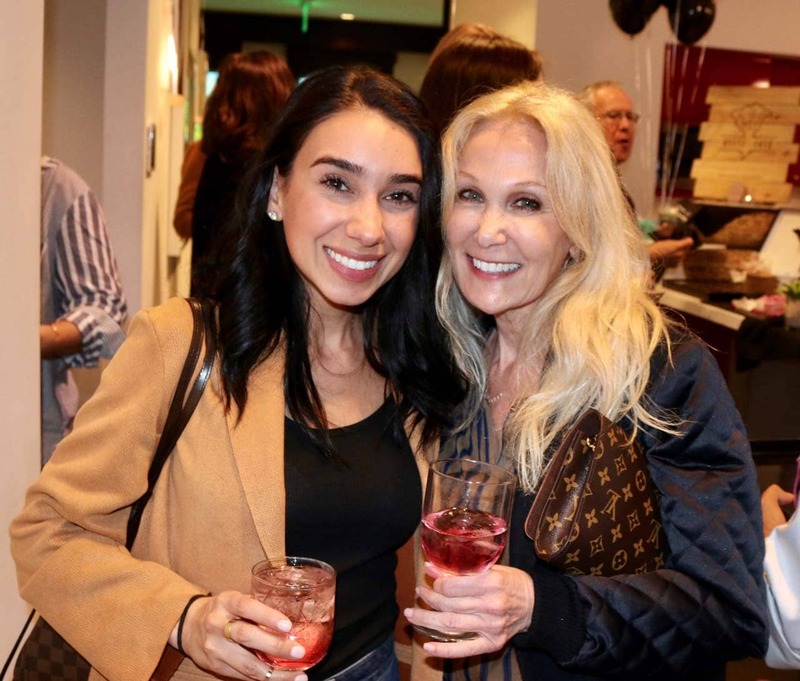 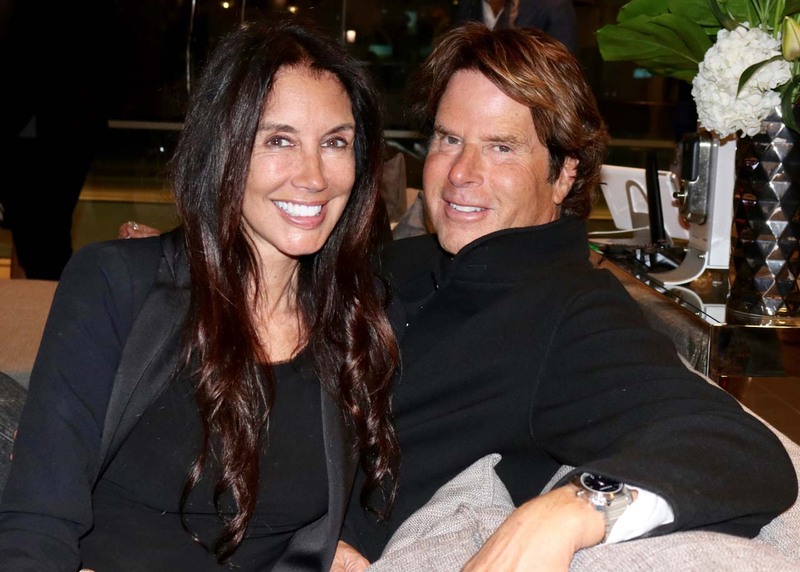 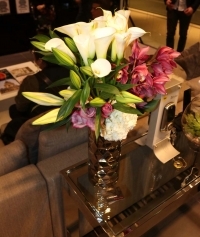 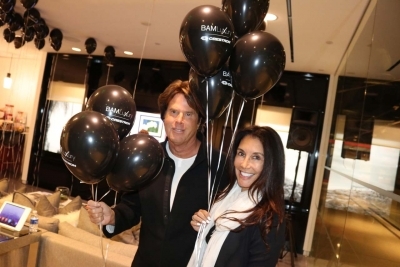 Linda Koopersmith, The Beverly Hills Organizer– the go-to organizational queen for all your estate moves, closet designs, and related consulting services. 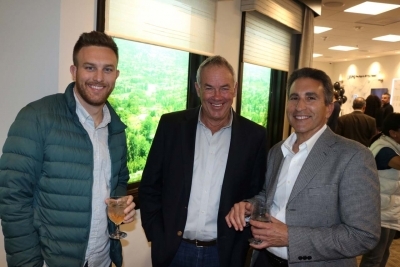 Last up, Oliver from Builders Turf told us about their cool turf products, and showcased their comprehensive turf installation and support services. All three are fantastic members to welcome into the EMC family, and no doubt, valued resources for our estate manager members. 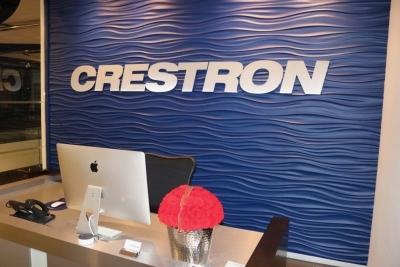 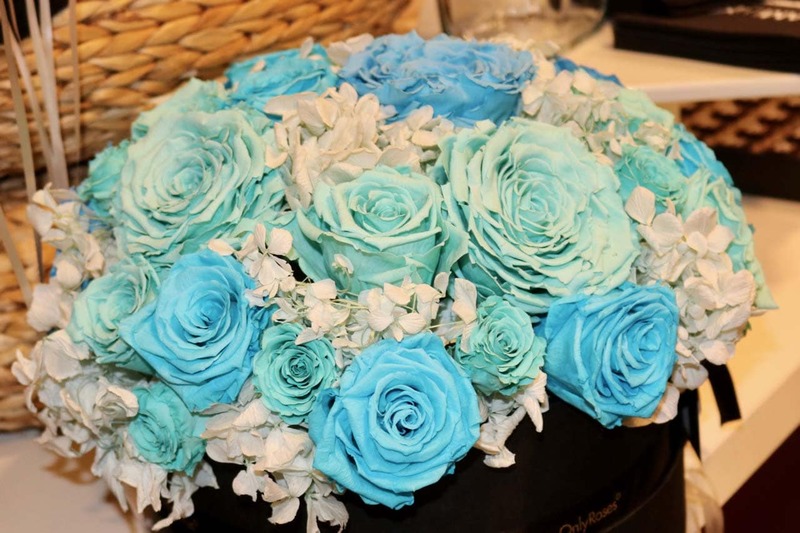 Big thanks to Crestron for hosting us, Only Roses for the flowers and Jim at Grand Food & Beverage for the tables & linens. 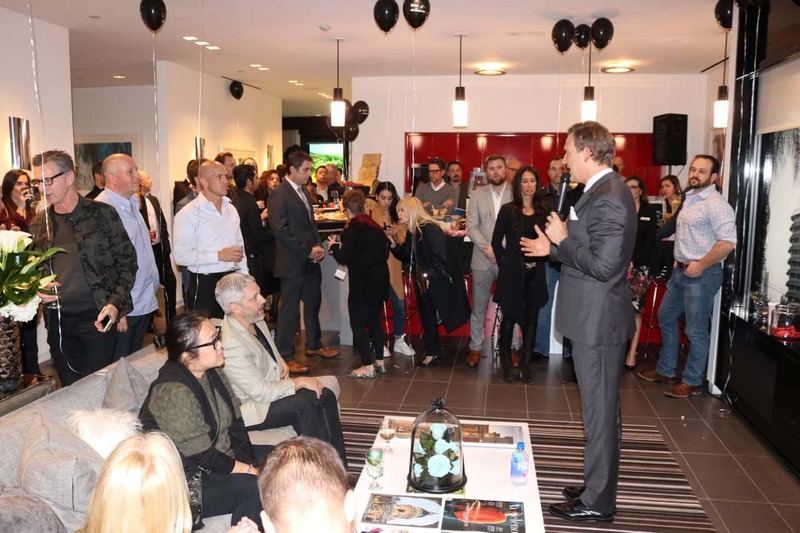 Special thanks to Tom Pascucci at Video Syndicate for the photography, PA system and corporate member logo projection loop. 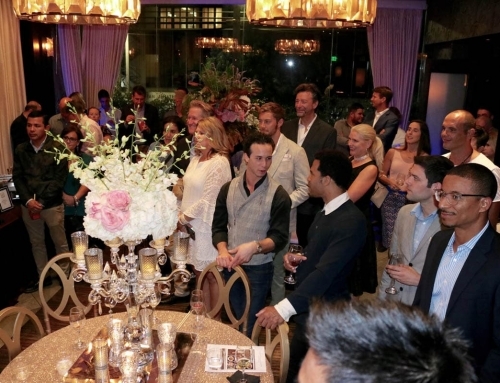 If you need event or aerial photography, or even videography, Tom’s your guy. He reached at 818-461-9400 or contact@videosyndicate.com.